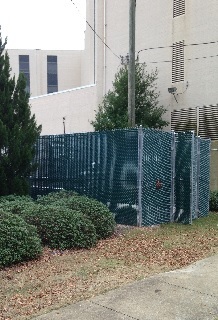 Jackson Hospital OR AHU Replacement - HHB Engineers P.C. Replacement of AHU- 27 during two 2-day shut-down. 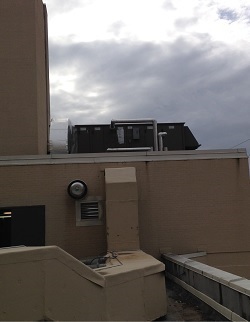 To accomplish this, new AHU was a roof mounted unit installed on roof of mechanical mezzanine. Roof structure modified with additional beams and bracing. 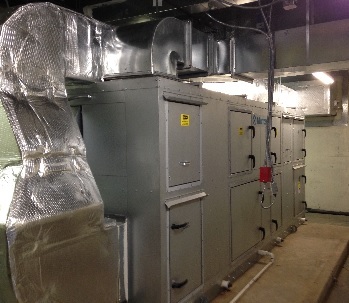 After removal of old AHU-27, DOAS-27 installed inside penthouse. Wall opening closure using double exterior doors. AHU-22 was replaced in 2009 and was 100% outside air. System converted to re-circulating type by installing new return air duct from 2nd floor roof to 1st floor and up into bottom of OA plenum. New DOAS-22 installed at grade with new outside air duct to first floor then paralleling new return air duct..
New DDC controls and re-heat control valves for all surgery rooms. And air handling units. Steam pre-heat and desiccant regeneration coils.